Successfully reimagining your business can offer a multitude of advantages, from enhancements to the service you offer customers, to the way you interact with them. However, keep in mind that the negative impact of getting it wrong can pose a significant threat to your business-critical activities. 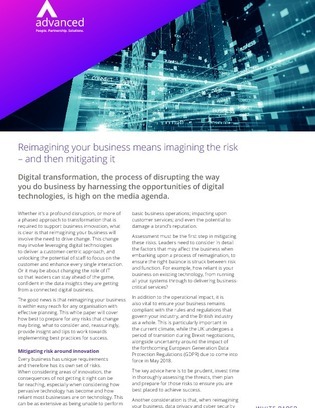 Find out how you can mitigate risk throughout your digital transformation journey.